Technology continues to go from strength to strength and this couldn’t ring truer when it comes to the development of new washing machines from some of the world’s biggest brands. Choosing which washing machine you should invest in can be a hard decision, so we’ve compiled a list of some of 2018’s newest and most advanced models. To help you choose the best washing machine for your home, take a look at some of these potential upgrade options for your current washing machine. When you’re looking to replace your Samsung washing machine, it’s understandable that you would approach this trusted brand again. You’ll be looking for one that’s going to save you money over time. With the Samsung WW5000 Washing Machine with Ecobubble, you’re investing in a model that can save you money on your bills due to it’s A+++ rating for energy efficiency. The Ecobubble technology allows your clothes to be washed at a gentler temperature which in turn can reduce your home’s carbon footprint. It works by using both water and air mixed with detergent to create penetrative bubbles that can remove the dirt from your clothes. This formula enables you to wash your clothes at lower temperatures. A model with a highly competitive performance is that of the AEG L9FEC966R, a freestanding washing machine that carries an outstanding energy efficiency rating (A+++), a vast capacity (9kg) and extremely quick spin speeds (1600 rpm), all combining to give you the ultimate washing experience. Like the Samsung WW5000, this in-demand AEG model is once again boasts several advanced technological features. Detergents, as well as softeners, can work at full efficiency even when the temperature remains low. This is due to the machine’s ion-exchange filtering system, which optimises the water as it flows through to the drum. When you’re living in a home with multiple occupants, it’s handy to purchase furniture and equipment that are large enough to accommodate the needs of everyone. The Hotpoint washing machine, model Ultima S-Line RPD10657DD, is ideal in this scenario as it has a huge capacity to carry vast amounts of washing. However, what’s arguably the greatest quality of this popular model is that it can remove some of the most stubborn stains, whether it’s on bedding, towels or sportwear. 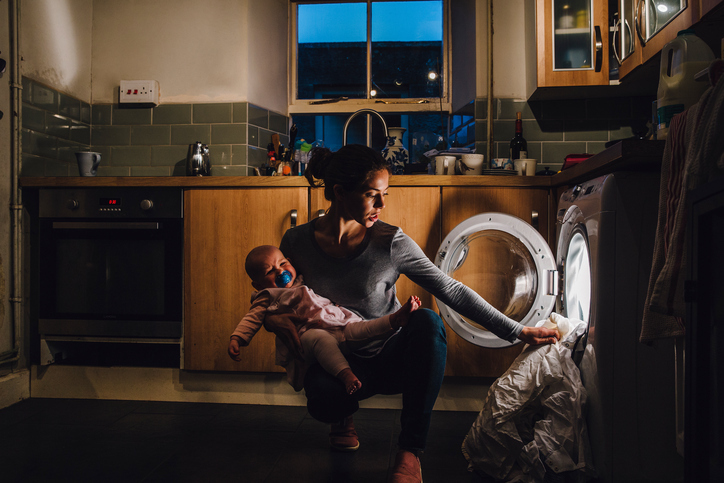 Young mother is holding her crying baby daughter on her hip while trying to load the washing machine. A manufacturer renowned for creating some of the advanced washing machines the market has ever witnessed, the 6 Motion FH6F9BDS2 from LG is one of the newest models from their flagship range. With its 12kg capacity and wonderful 20-year guarantee, it’s the ideal choice for the family home. For those with allergies especially, the fantastic thing about the 6 Motion FH6F9BDS2 is that it has a steam wash functionality that removes tough stains and makes your washed clothes allergen-friendly. 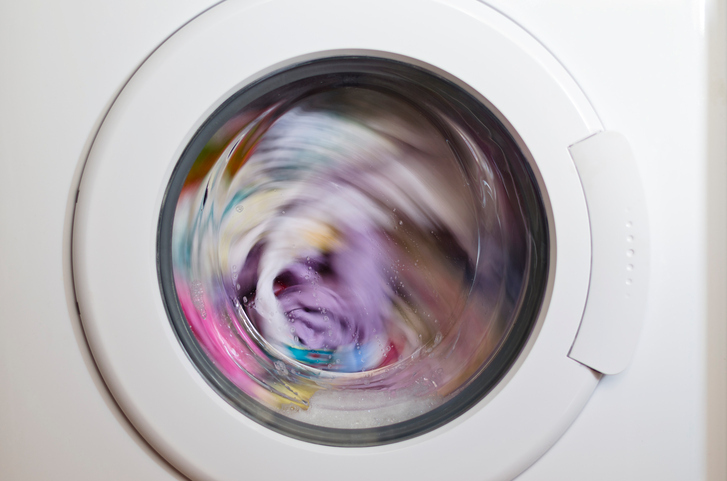 There are many functions the model offers to give consumers multiple options for laundering different items such as clothes or bedding. If your washing machine isn’t reaching the standards you require, then perhaps it’s time to consider making a change. Invest in a new advanced model that’ll improve the quality of washing in your home! However, if you are looking for cheap washing machines or want to hold onto your appliance as along as possible, an alternative you can consider is using our washing machine repair service here at Glotech Repairs. 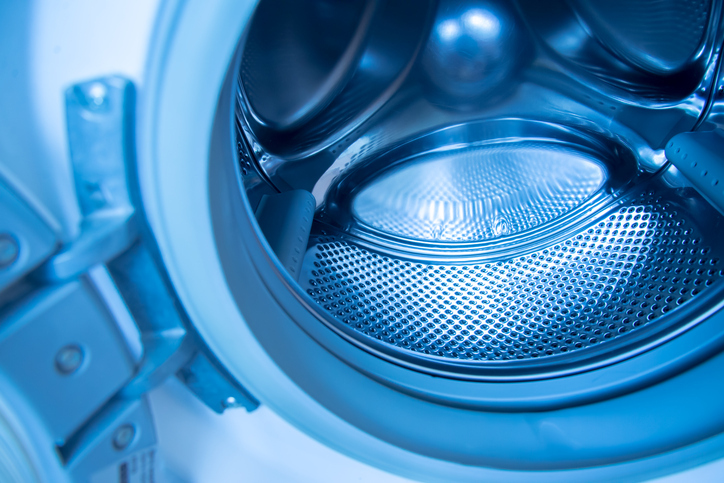 We can help to rejuvenate your current model and boost washing efficiency in your home. Get in touch with us today if this sounds like the ideal solution for you!